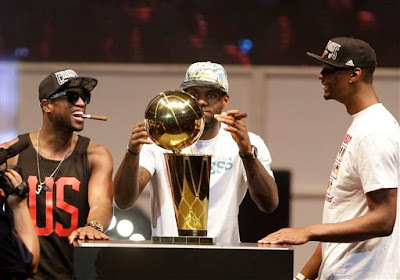 NBA Finals Hangover Monday ~ Roundball Manor - The House that Basketball Built. 1. Doc Rivers has a New Gig: Dean of Lob City University. 2. Heat Celebrate Back to Back Titles: 'Miami Twice ' and a Weekend of Partying Pics. After a strange series of events in Boston DURING the NBA Finals, the Celtics have agreed to trade Doc Rivers to the Clippers for a 1st round draft pick. This comes a week after both teams were trying to work out a deal that included Kevin Garnett, DeAndre Jordan and draft picks. The league stepped in after a few days of negotiations and will keep an eye on the Celtics this off-season as any future trades involving them with the Clippers will be under a microscope. A weird series of events for a Celtics team who are apparently now in full rebuild mode. On the other hand Lob City now has reason to rejoice. Fans should expect CP3 to re-sign with one of the premier coaches in the NBA and bring Clipperland to new heights next season. Its gonna be a party in La La Land! The same can't be said for Bean Town. "Hey Doc, Where is KG playing next season??" 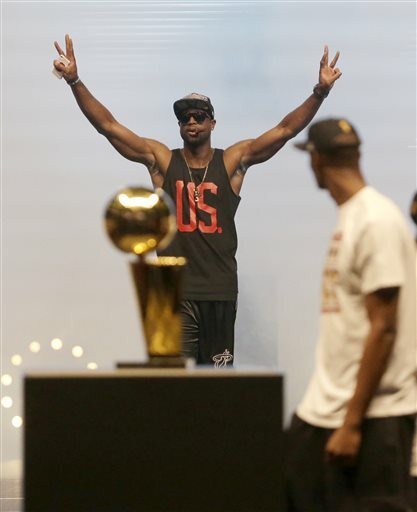 Speaking of parties...the Heat floated their way up Biscayne Boulevard Monday Morning, shaking off a weekend of hard partying and reveling in their back to back championship titles. 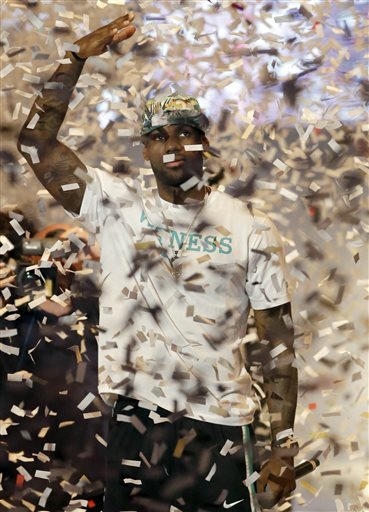 What a weekend to be in Miami. 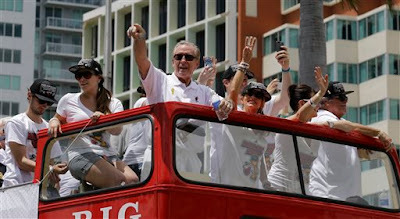 Check out @MiamiHeatFloat on Twitter for a pulse of how the Heat and Miami like to party! I bet you Birdman partied his TAIL off. Pat Riley and a bus full of women.